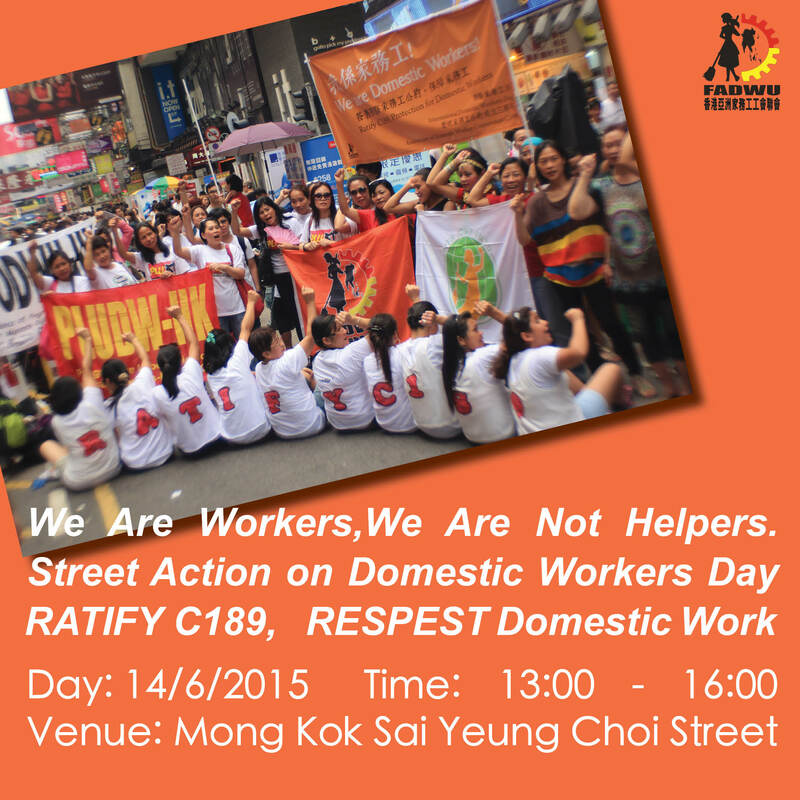 To celebrate International Domestic Workers’ Day and the 4th anniversary of the Convention concerning decent work for domestic workers (C189) on 16th June, Hong Kong Federation of Asian Domestic Workers Unions (FADWU) is going to have street activity. The celebration activity is aimed to promote the C189 and spread the message of “domestic work is work”. FADWU, its affiliates and related groups would promote the message by various performances. We kindly invite you and your group to join us and give solidarity message during the activity. Should you have any enquiries, please feel free to contact our organizer Leo Tang (6489 6536). Do you want to get to know more about the migrant domestic workers in Hong Kong? Do you want to do something for the migrant communities? MFMW is going to hold a day of "Give Care to Caregivers" to provide free para-legal counseling, medical check-up and other welfare activities to the migrants. They are now recruiting interested volunteers to join them.